Doug Ford, Is That A Bottle Of Vodka In Your Office? 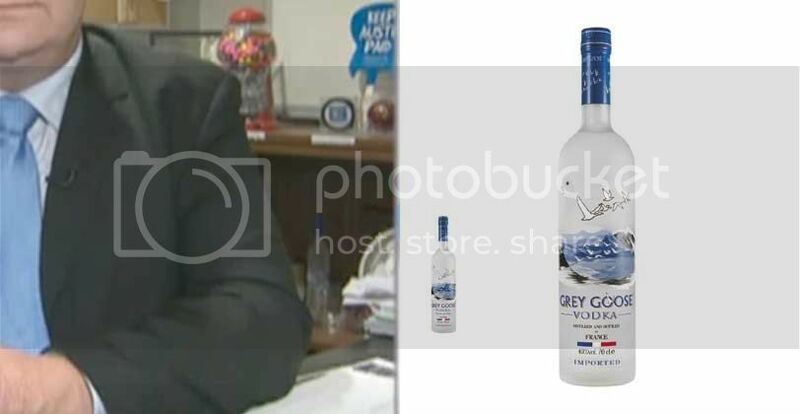 That sure does look like a bottle of Grey Goose behind your desk, Doug Ford. 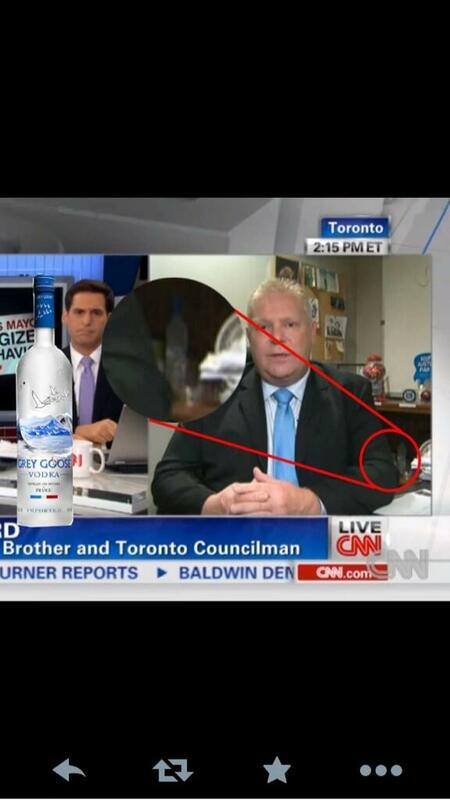 Eagle-eyed Reddit user Physicalred spotted the bottle in the background during Toronto councillor Doug Ford's interview with CNN on Wednesday. He posted a close-up of the bottle to Reddit Toronto, where it quickly shot to the top of the thread. And sure, even Stephen Harper has been known to enjoy a drink from time to time, to toast an international friend or when mingling with supporters. But if you're on CNN specifically to discuss your brother's drinking problem (and how he may have smoked crack in one of his drunken stupors), you might want to put the bottle out of sight.